RCP hasn’t published any reason for this change, as yet. We’ll keep monitoring. 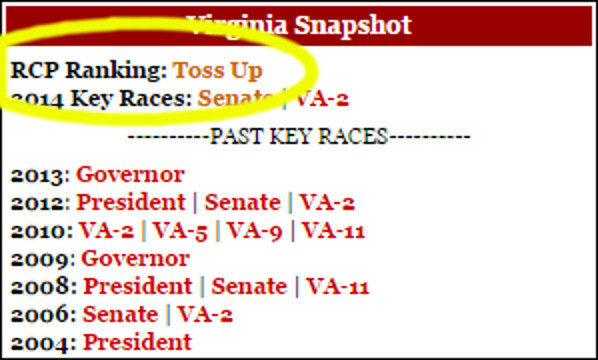 Author FirewallNOVA LeftPosted on October 2, 2014 March 21, 2016 Categories NewsTags RealClearPolitics, VA104 Comments on TOSS UP!